Now 40 million users strong, Instagram has taken advantage of the photoblog trend and transformed into something of an overnight global success. With the start-up earning press for expanding it’s product to Android users and being snatched by Facebook’s powerful grasp, the tech world is wondering what kind of users are downloading the app and catapulting the brand to the top. 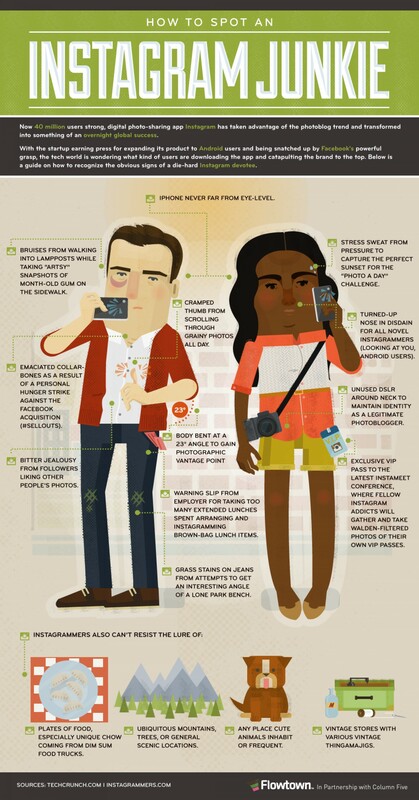 This fun infographic shows how to recognize the obvious signs of a die-hard Instagram devotee.